Specialists at supplying wine to trade in Glasgow and the Central belt of Scotland, Alexander Wines approached us to create a new website to compliment their new brand identity. 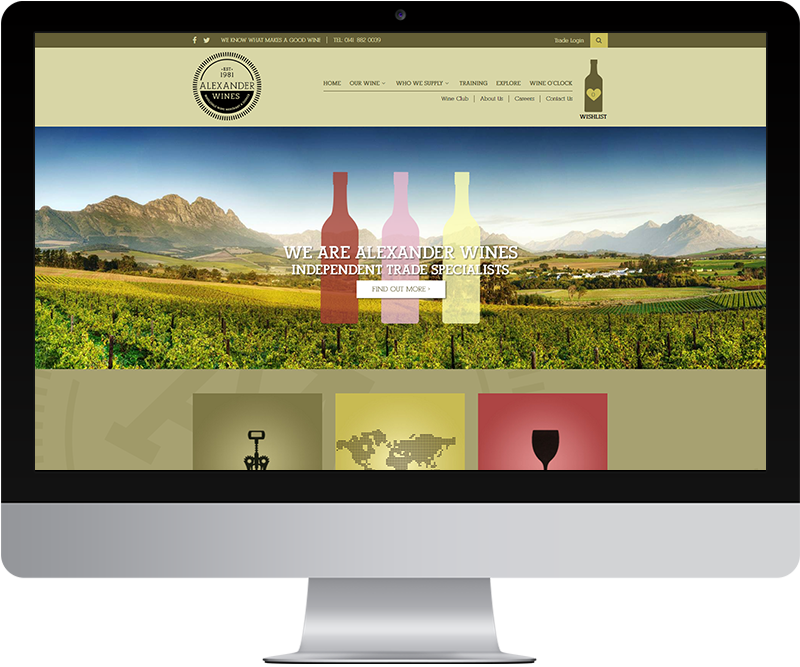 We integrated Woocommerce with Vintner (a popular wine industry CRM system) to allow trade customers to browse stock easily. A PDF fact-sheet is generated for each wine, with key information and tasting notes for retailers and someliers. We are extremely pleased with our new website from Infinite Eye. From the initial consultation Sharon and Craig understood our distinct requirements to give us exactly what we wanted. The finished result is fantastic and easy to use with a number of new and existing customers complimenting the website. Importantly the aftercare has also been very helpful with nothing too much trouble. We would highly recommend working with Infinite Eye. Thanks guys!